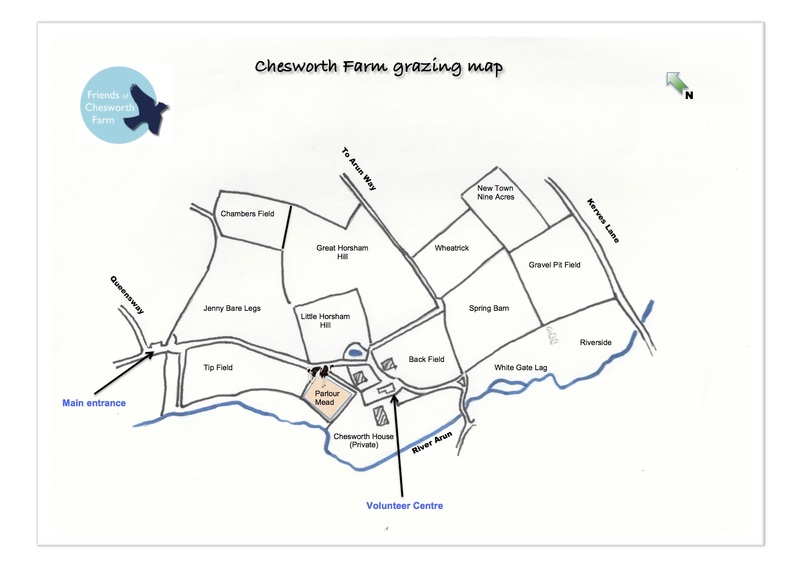 The British White cattle are now in Parlour Mead (the field in the square bordered by Tip Field, the main track, Chesworth House and the Riverside Walk down to the River Arun). See FCF grazing map below. The sheep and goats remain in enclosed Wheat Rick and New Town Nine Acres fields.